This will be a journal of sorts. I will post pics add comments and share milestones. I should have started this earlier but better late than never right? I have been picking a bunch every other day at the least lately. Here is my latest batch. You're way ahead of me! Our high temps for 2 weeks put the tomato plants on hold. How many plants do you have total? By the size of that harvest I'm guessing somewhere between 12-18 plants? I normally mark the names because I have so many different varietys plus I'm saving seed so I need to make sure I know what I have. Last edited by gixxerific on Fri Jul 13, 2012 1:31 am, edited 1 time in total. oh wow! Ha, surprised you have room for anything else in your garden! lol. That's a lot of plants! 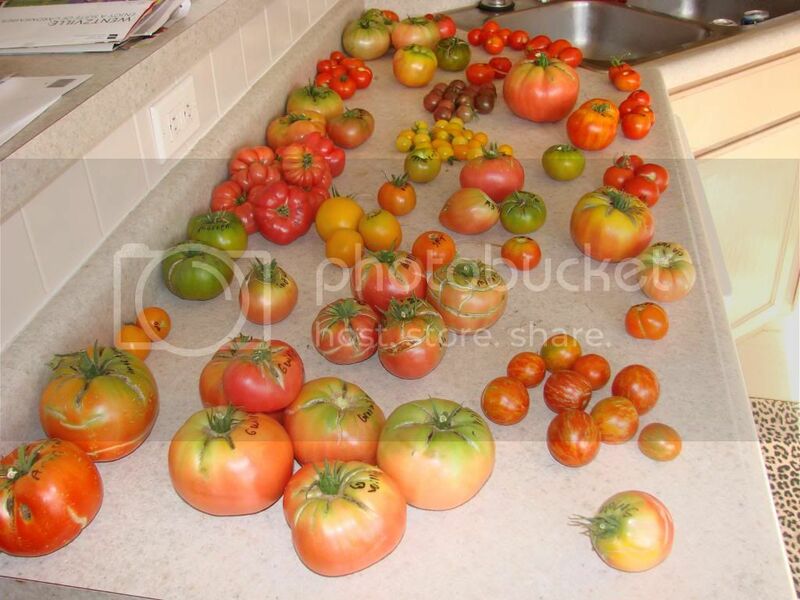 How many pounds of tomatoes do you harvest every year? Big long post deleted so sorry here is the abridged version. Not much room in gardens but I still got my favorites in. Plans are always in the works though. Have no idea about total lbs per yr. Not enough time to weigh them all anyways, too busy pickin' eatin' and admirin'. A tour of the tomato garden. Thanks that is an evey other day kind of thing around here for now. Did you see the video a few post up? awesome! 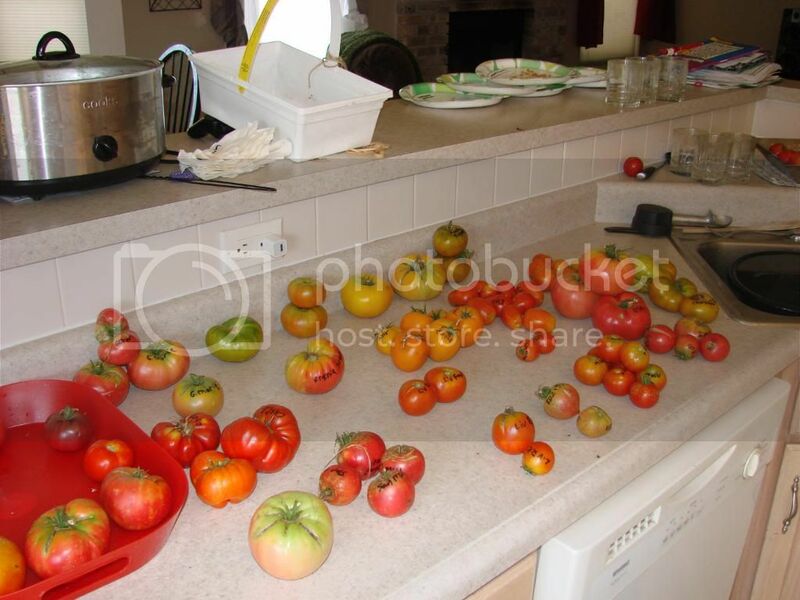 What you gonna do with all them maters? Eat them, seed them, and give them away.